The release of Katie Cook's Munchkin Cthulhu Guest Artist Edition is fast approaching (shipping later this month, actually! ), and we wanted to show some how two different artists tackled the same cards. John Kovalic's version is classic. Being a horror theme instead of fantasy, John was able to flex his illustrative muscles a bit and give players iconic images of their non-Euclidian overlords. Cards like Great Cthulhu have become staples of our Lovecraftian themes here at SJ Games, and rightly so! Considering how many Cthulhu-themed games we have in the lineup now, you can see the impact of the Great Old One. Katie has worked with us on many projects, from Munchkin Love Shark Baby to the more recent Munchkin Kittens and Puppies. 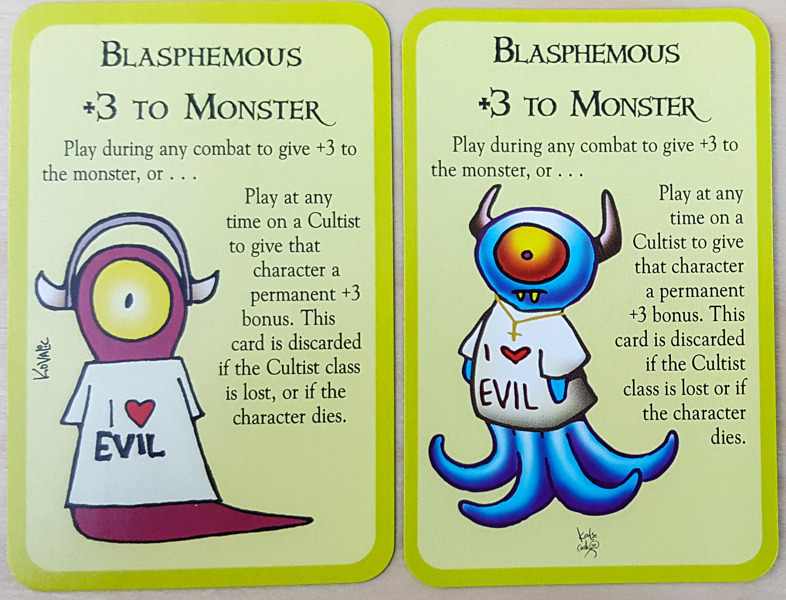 Her art is mirthful and cute, so of course we tapped her for Munchkin Cthulhu Guest Artist Edition! 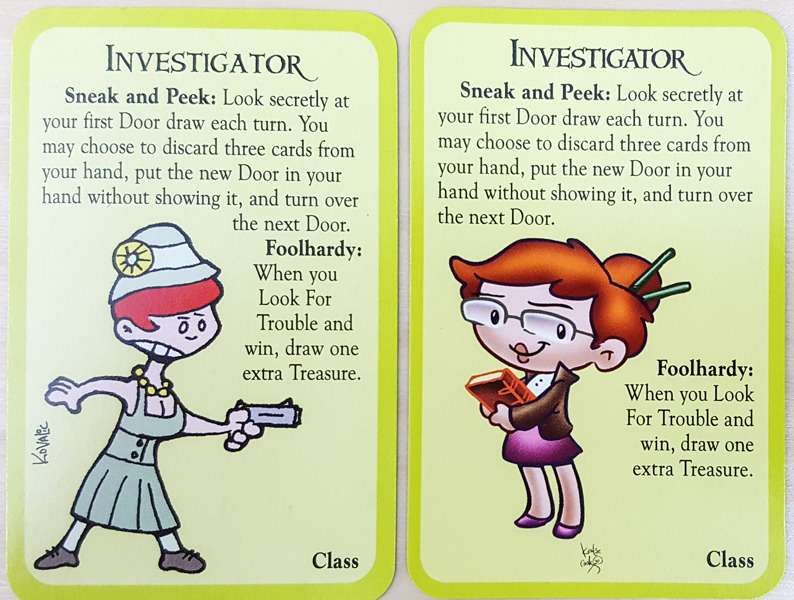 Her reimaginings of the meddlesome Miskatonic investigators and Elder things have are horrifically adorable. 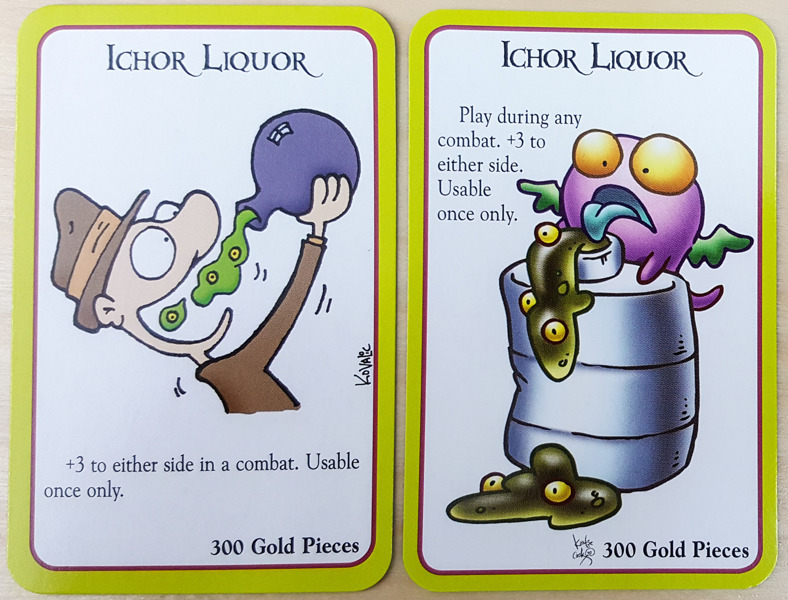 Ichor Liquor in particular is a perfect example of how a simple art swap can change the focus of the joke. Blasphemous on the other hand is a great reinterpretation of an already funny joke, but each is unique! The gates are unsealed, and the time is almost here. 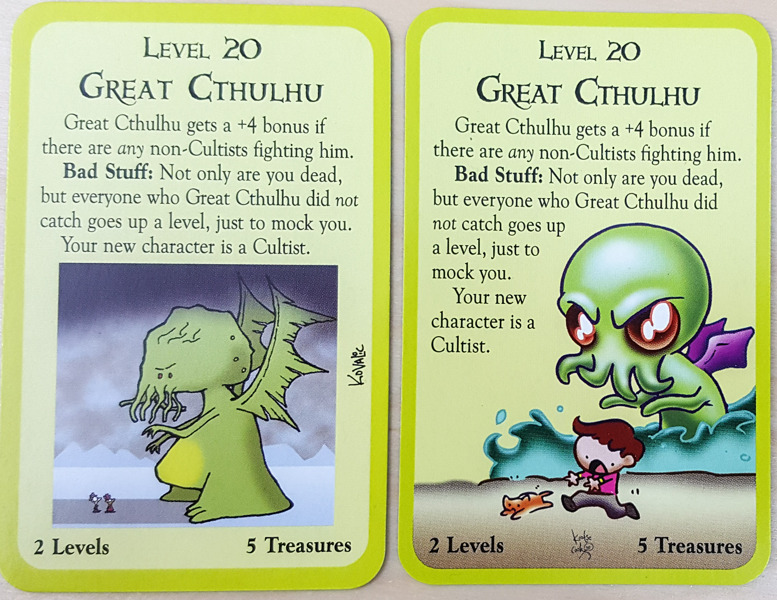 Prepare yourself, and preorder Munchkin Cthulhu Guest Artist Edition at your FLGS or Warehouse 23 today!